When it comes to common toxicants that dogs and cats get into, make sure you know when to appropriately decontaminate your veterinary patient. In veterinary medicine, the primary treatment for toxicant exposure should be decontamination and detoxification of the patient. The goal of decontamination is to inhibit or minimize further toxicant absorption and to promote excretion or elimination of the toxicant from the body. Decontamination can only be performed within a narrow window of time for most substances; therefore, it is important to obtain a thorough history and time since exposure. The five toxicants below? In VETgirl’s opinion, these are the most popular toxicants that dogs ingest. Some of these stay in the stomach for a slightly longer period of time, allowing for a more productive, effective emesis return). With ACE-inhibitors, severe overdoses can cause hypotension, dizziness, weakness, and hypotension. In general, there is a wider margin of safety with ACE-inhibitors, which are typically considered much safer. Pets ingesting small amounts of ACE-inhibitors can potentially be monitored at home, unless they have underlying disease (e.g., kidney failure, cardiac disease, etc.). With ACE-inhibitors, ingestions > 10-20X a therapeutic dose are generally considered toxic, and can result in severe clinical symptoms (e.g., hypotension).3 Treatment for any cardiac medication includes decontamination (e.g., emesis induction, gastric lavage, activated charcoal administration), blood pressure monitoring, aggressive IV fluid therapy if hypotension is detected, and blood work monitoring. With severe toxicosis, the use of high-dose insulin therapy or intravenous lipid emulsion may be warranted as a potential antidote for calcium channel blocker toxicosis. 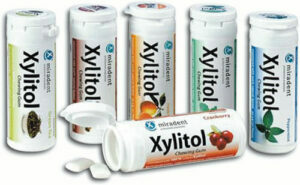 Xylitol is a natural sweetener found in small quantities in certain fruit. 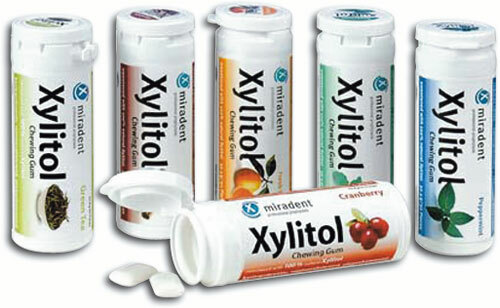 Xylitol has gained recent popularity because it is sugar-free, and is often found in diabetic snacks, foods, baked foods, mouthwashes, toothpastes, chewing gum, mints, candies, and chewable multivitamins.5 Sugarless products, particularly those with xylitol listed within the first 3 to 5 active ingredients (AI), can result in severe toxicosis within 15-30 minutes of ingestion. Ingestion of xylitol results in an insulin spike in non-primate species, resulting in severe hypoglycemia. Many pieces of candy and gum (e.g., Orbit™, Trident™, Ice Breakers™) contain various amounts of xylitol ranging, on average, from as low as 2 mgs up to 1.0 grams/piece (Many average 150-170 mg per piece). Unfortunately, not all sources are disclosed by the company (e.g., how many grams of xylitol may be in each piece of gum) due to a proprietary nature. With xylitol toxicosis, it is imperative to calculate whether a toxic dose has been ingested. Doses > 0.1 g/kg are considered toxic and result in profound, sudden hypoglycemia from insulin stimulation.5 Higher doses (> 0.5 g/kg) of xylitol have been associated with acute hepatic necrosis. Clinical signs of xylitol toxicosis include lethargy, weakness, vomiting, collapse, anorexia, generalized malaise, tremors, and seizures (from hypoglycemia). When hepatotoxic doses are ingested, clinical signs and clinicopathologic findings may include melena, icterus, increased liver enzymes, diarrhea, hypoglycemia, hypocholesterolemia, decreased BUN, hypoalbuminemia, etc. When presented a patient that has ingested a toxic amount of xylitol, a blood glucose should be checked immediately upon presentation; if hypoglycemic, a bolus of 1 ml/kg of 50% dextrose, diluted with an additional amount of 0.9% NaCl (in a 1:3 ratio) should be given IV over 1-2 minutes. Emesis induction should not be performed until the patient is euglycemic. Keep in mind that activated charcoal does not reliably bind to xylitol, and is not routinely recommended for xylitol toxicosis. Hypoglycemic patients should be hospitalized for IV fluid therapy [supplemented with dextrose (2.5 to 5% dextrose, CRI, IV)] for approximately 24 hours, and frequent blood glucose check should be performed every 1-4 hours. For patients ingesting a hepatotoxic amount of xylitol, the use of hepatoprotectants (e.g., SAMe), anti-emetics, and supportive care (including frequent liver enzyme monitoring) are warranted. Treatment should be aimed at decontamination, administration of multiple doses of activated charcoal, antiemetic therapy, IV fluid therapy, sedation, blood pressure monitoring, and beta-blocker therapy (for sustained tachycardia). Think you know how to treat that dog that just ingested a green or blue block of rodenticide? Well, before reaching for your bottle of Vitamin K1, make sure you identify the correct active ingredient! New mandates by the EPA (effective 2011) were created that will reduce the availability of anticoagulant rodenticide (ACR). So, before you reach for that Vitamin K1, read on! One of the most common mistakes seen in the field of veterinary toxicology is assuming that every green or blue block of rat or mouse poison is a ACR rodenticide. The active ingredient of a rodenticide cannot be identified based on physical appearance (e.g., color, shape, size, etc.). When in doubt, the EPA-Reg. number or active ingredient (and concentration) must be properly identified to ensure appropriate treatment and management of rodenticide toxicoses. Several different classes of rodenticides exist, including those that contain bromethalin, zinc phosphide, and cholecalciferol (Vitamin D3). ACR anticoagulants result in inhibition of Vitamin K epoxide reductase, resulting in inactivation of clotting factors II, VII, IX, and X.11 Due to a new EPA mandate, many second generation anticoagulants (e.g., brodifacoum, bromadiolone, diphacinone, chlorophacinone, etc.) are now being taken off the market, as they are considered to be more toxic with a longer duration of action (requiring a longer duration of treatment compared to first generation anticoagulants). When it comes to treating a rodenticide toxicosis patient, make sure you have confirmed the appropriate active ingredient, as treatment will vary with each different type. When in doubt, if you think your patient ingested something poisonous, recognize that the time to decontaminate them is limited to 1-6 hours, depending on the toxicant. When in doubt, contact ASPCA Animal Poison Control Center at 888-426-4435 for life-saving advice, 24/7. Want to learn more? Looking for online veterinary continuing education? Check out VETgirl, a subscription-based podcast & webinar service offering online veterinary CE you can watch from home. More information at www.vetgirlontherun.com. Syring RS, Engebretsen KM. Calcium channel blockers. In: Osweiler G, Hovda L, Brutlag A, Lee JA, eds. Blackwell’s Five-Minute Veterinary Consult Clinical Companion: Small Animal Toxicology, 1st Iowa City: Wiley-Blackwell, 2010, pp. 170-178. Engebretsen KM, Syring RS. Beta-blockers. In: Osweiler G, Hovda L, Brutlag A, Lee JA, eds. Blackwell’s Five-Minute Veterinary Consult Clinical Companion: Small Animal Toxicology, 1st Iowa City: Wiley-Blackwell, 2010, pp. 155-163. Adams CM. Angiotensin-converting enzyme (ACE) inhibitors. In: Osweiler G, Hovda L, Brutlag A, Lee JA, eds. Blackwell’s Five-Minute Veterinary Consult Clinical Companion: Small Animal Toxicology, 1st Iowa City: Wiley-Blackwell, 2010, pp. 131-135. Craft EM, Lee JA. Grapes and raisins. In: Osweiler G, Hovda L, Brutlag A, Lee JA, eds. Blackwell’s Five-Minute Veterinary Consult Clinical Companion: Small Animal Toxicology, 1st Iowa City: Wiley-Blackwell, 2011. pp. 429-435. Liu TY D, Lee JA. Xylitol. In: Osweiler G, Hovda L, Brutlag A, Lee JA, eds. Blackwell’s Five-Minute Veterinary Consult Clinical Companion: Small Animal Toxicology, 1st Iowa City: Wiley-Blackwell, 2011, pp. 470-475. Craft EM, Powell LL. Chocolate and Caffeine. In: Osweiler G, Hovda L, Brutlag A, Lee JA, eds. Blackwell’s Five-Minute Veterinary Consult Clinical Companion: Small Animal Toxicology, 1st Iowa City: Wiley-Blackwell, 2011, pp. 421-428. Adams CA. Bromethalin. The Five-Minute Veterinary Consult Clinical Companion: Small Animal Toxicology. Ames, IO: Wiley-Blackwell. pp. 769-774. Gray S, Lee JA, Hovda L, et al. Zinc phosphide rodenticide toxicity in dogs: 362 cases (2004-2009). J Am Vet Med Assoc 2011;239(5):646-651. Gray S. Phosphides. The Five-Minute Veterinary Consult Clinical Companion: Small Animal Toxicology. Ames, IO: Wiley-Blackwell. pp 781-790. Adams CM. Cholecalciferol. The Five-Minute Veterinary Consult Clinical Companion: Small Animal Toxicology. Ames, IO: Wiley-Blackwell. pp 775-780. Murphy M. Anticoagulants. The Five-Minute Veterinary Consult Clinical Companion: Small Animal Toxicology. Ames, IO: Wiley-Blackwell. pp 759-768.